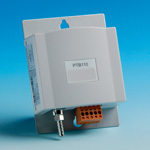 The 230-PTB110 Series Analog Barometers use the unique BAROCAP silicon capacitive absolute pressure sensor. The pressure sensor utilizes the outstanding elasticity characteristics of single-crystal silicon and achieves excellent repeatability, low hysteresis with very good temperature and long-term stability. The pressure sensor can withstand overpressure and mechanical shocks with no effect on performance. The 230-PTB110 Barometer is designed both for accurate barometric pressure measurements at a room temperature and for general environmental pressure monitoring over a wide temperature range. 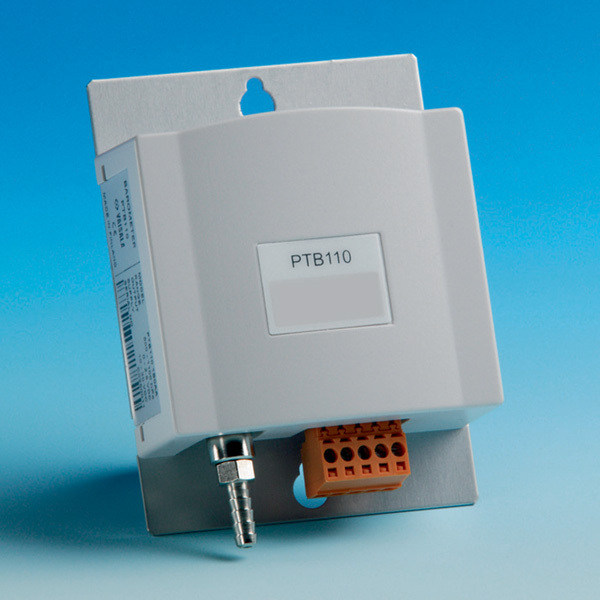 The PTB110 barometer uses the Vaisala BAROCAP® Sensor, a silicon capacitive absolute pressure sensor developed for barometric pressure measurement applications. The sensor combines the outstanding elasticity characteristics and mechanical stability of single-crystal silicon with the proven capacitive detection principle. The PTB110 is suitable for a variety of applications, such as environmental pressure monitoring, data buoys, laser interferometers, and in agriculture and hydrology. The compact PTB110 is especially ideal for data logger applications as it has low power consumption. Also an external on/off control is available. This is practical when the supply of electricity is limited. Pressure fitting: Barbed fitting for 1/8"
* Defined as ± 2 standard deviation limits of end-point non-linearity, hysteresis error or repeatability error. ** Defined as ± 2 standard deviation limits of inaccuracy of the working standard including traceability to NIST. *** Defined as the root sum of the squares (RSS) of end-point non-linearity, hysteresis error, repeatability error and calibration uncertainty at room temperature.